It is critically important to have a flow of good indoor air quality throughout a building so as to ensure a supply of fresh air and minimize the risk of indoor air pollution from sources such as dirty air ventilation, mound, radon and carbon monoxide. Indoor air pollution can have a serious impact on your health,both immediately and in the long-term, and statistics from the World Health Organization show that 4.3 million people die annually because of substandard indoor air quality. That's just under four times the entire population of Birmingham. It is well worth knowing what causes indoor air pollution and how we can improve the quality of indoor air. Read below to find out how you can maximize indoor air quality in buildings that you frequently occupy. According to the Environmental Protection Agency(EPA), the level of indoor pollutants is usually two to five times higher than that of outdoor levels. 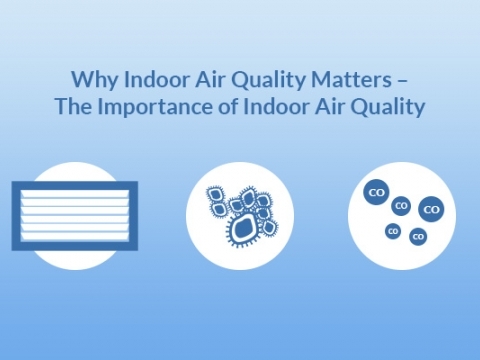 In some cases, indoor pollutants can be 100 times more damaging than outdoor equivalents. On average, people spend 90% of their lives indoors. Good indoor air quality in workplaces enables an ideal working environment for staff to complete tasks with a clear head and, in turn, is likely to lead to a greater standard of work being done. Poor air quality can lead to coughs, eye irritations and headaches in the short-term, and possibly more serious long-term problems if exposure to indoor air pollution is continuous. Exposure to indoor air pollution could lead to prolonged illnesses which would result in a person needing to take time off work, thus hampering productivity. Indeed, poor air quality results in a loss of productivity estimated to be worth tens of billions of pounds worldwide. Just as excellent, well-maintained air quality can be beneficial for your health, poor quality air from sources such as dirty air vents can affect your health negatively in several ways, immediately and in the long-term. Some of the health effects that can quickly take hold from poor air quality include headaches, dizziness and fatigue. It could also lead to irritation of your eyes, nose and throat. 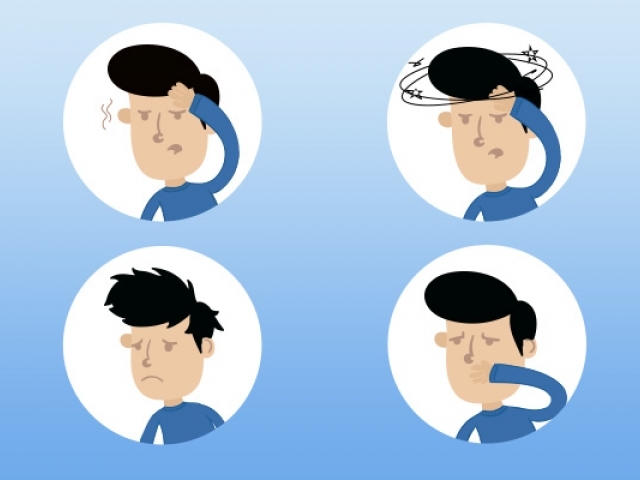 These health effects are similar to those from colds and other viral conditions, so it is important to note the timing and location of these symptoms occurring. If the symptoms fade when you leave the building, it is almost certain that the poor air quality is to blame, and then action needs to be taken to eliminate the problem. The probability of an immediate reaction to poor air quality will depend on a number of factors, such as your age and whether you have any existing medical conditions. Some effects may only come to light in the years after prolonged exposure to poor ventilation, including respiratory conditions, heart disease and cancer. In some cases, these problems can be fatal. However, it can be difficult to pinpoint a specific concentration or period of exposure that is likely to produce health problems from poor ventilation, while the probability of significant long-term health effects will vary from person to person. This video discusses how to improve indoor air quality by suggesting several courses of action. Install radon detectors within the building and take action to reduce the levels of radon. Seal or enclose asbestos to stop it spreading. Adjust stoves and boilers to reduce the level of emissions. Open windows and doors when suitable. Install extractor fans in kitchens and bathrooms so as to remove contaminants from these areas. Organise to have your ventilation ducts cleaned if you notice visible mould or dust in the area. Do not block or obstruct air vents. Do not smoke indoors - use a designated outdoor area instead. Dispose of waste properly and in a timely manner. Do I need to get my air vents cleaned? Although there is no direct correlation between cleaning air vents and preventing health problems, it is certainly the case that leaving mould and dust accumulate in air vents will substantially raise the likelihood of health problems due to poor indoor air quality. Therefore, it is very much recommended that you organize to have your vents cleaned by a professional cleaner whenever you notice evidence of mould or dust in the area, or also an infestation of vermin inside your vents. What types of ventilation are available? There are many types of ventilation from which to choose. External galvanized vent covers like these are ideal for rooms in which permanent ventilation is required. This refers to a secure ventilation opening which is usually located in a wall or window and provides general ventilation. This can be done naturally through closable hit and miss vent covers on the internal side of the vent, or mechanically through single room or whole building heat recovery systems.Mechanical forms of ventilation are usually more energy efficient as they can be controlled manually, unlike natural ventilation, but they are more expensive to install. 'Wetrooms' such as a bathroom or kitchen need to be appropriately ventilated with a mechanical extractor fan so that water vapour doesn't accumulate inside the room. In such rooms where there is no background ventilation or window, the mechanical fan should have an automatic 15-minute overrun, after which time it switches off. In rooms where fuel-burning equipment (which would draw air from within the room)is situated, permanent ventilation is required. This means that the ventilator is always open and does not have a way of being closed, as a flow of air will constantly be needed. They usually take the form of external galvanised vent covers, 110mm pipes or internal vent covers. 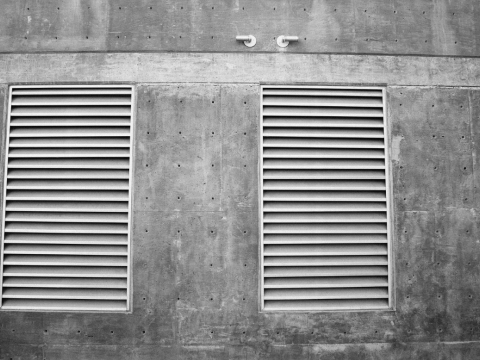 Proprietary ventilation systems combine all three of these elements and are guaranteed to provide an ample flow of air.